Growing a business can be very hard work and normally takes a long, long time. But acquiring a competitor, complementary business, supplier or client can propel your company forward faster than any other method. Usually, the only way to learn how to do this is by trial and error. That again can take years and be very costly. But now The Dealmaker’s Academy has an exclusive 12-month Mergers and Acquisitions Mastermind Programme that will teach you how to do mergers and acquisitions so that you can grow your business in a quantum leap and reap the rewards of your hard work sooner rather than later. And you will do all this is in a supportive, positive environment, surrounded by an exclusive group of like-minded people. You’ll be guided by qualified lawyers, accountants and financiers who will help you to do profitable deals. With their help, you’ll be able to achieve your professional ambitions and personal dreams far faster than most other business owners. The Mergers and Acquisitions Mastermind Programme is designed to provide you with the right guidance, mentorship and support to become a professional dealmaker. It will help you to avoid the very expensive mistakes that many business owners make doing mergers and acquisitions and which land them in all kinds of trouble. You will discover the way to structure deals to ensure your personal capital is never at risk. The intensive year-long Mastermind Programme will support you in your objectives to buy a business to merge it with your own or to buy a standalone portfolio of companies that will generate cash for you as well as the opportunity to sell those companies when their value increases. When you join the Mergers and Acquisitions Mastermind Programme, you will have ongoing access to our ‘Deal Team’, a carefully chosen group of experts in law, finance, funding, human resources, business development and acquisition strategy. Attempting to buy a business without this level of support can be stressful and costly. You’ll also have a network of like-minded business owners with which to share deals and feedback. In the next few pages, you will discover how working with The Dealmaker's Academy will help you to accelerate the growth of your business by buying other companies. They might be companies that compete with your business or those that will complement your business offering. You will also find out how The Dealmaker’s Academy can help you to build a portfolio of cash-producing businesses that generate income for you under management which means that you don’t have to be involved in the day-to-day operations. Instead, you’ll be free to pursue more deals. The knowledge you gain during the 12-month Mastermind Programme will help you to save time and make better deals because you will have the practical expertise and guidance you need to identify and complete profitable acquisitions. It means you will make more successful acquisitions faster with lower expenses and, ultimately, a more profitable outcome. Want to Join the Mastermind? The programme is divided into 12 monthly modules. Each module is an essential part of the journey of buying, merging and selling a business successfully. The Mergers and Acquisitions Mastermind Programme is led by Jonathan Jay, CEO of the Dealmaker’s Academy (DMA) and one of the world’s leading trainers on buying and selling businesses. He has a 20-year plus track-record of high-performance companies and multi-million-pound exits. As well as benefiting from Jonathan’s years of experience in deal-making, you will also learn from other dealmakers as well as expert advisers in mergers and acquisitions. Having access to their insider knowledge and vast experience will accelerate your progress in acquiring, merging and selling businesses. To acquire and sell businesses successfully, you need access to a team of people who have the expertise, skills, experience and qualifications that you don't have. It is foolish to believe that you can do everything yourself. By leveraging other people's talents and time, you can compound your achievements. What kind of expertise do you need? At the very least, you should have the following experts in a Deal Team. Mergers and Acquisitions is a speciality subject that most business owners don't use in the day-to-day course of their business. But merger and acquisitions can involve a range of technical considerations including tax, competition, pensions, and regulations. An M&A lawyer will advise and guide you through these technicalities to ensure your deal is successful. Without such advice, it’s likely any dealmaker will flounder. It’s why having an M&A lawyer on your team is an essential part of your future success as a dealmaker. If you are interested in buying distressed assets, in other words, assets that are on the verge of insolvency, then you also need an insolvency lawyer who understands the latest regulatory requirements around managing corporate insolvent situations. In recent years, the rules have been tightened, and it is essential that you have expert guidance in this field otherwise you might fall foul of the law and become personally liable. It’s why you need an insolvency lawyer on your team. A due diligence expert will undertake the checking and assessment of the business that you are buying to help you understand its positive and negative aspects. Having an expert carry out due diligence on your behalf will allow you the opportunity to review the deal without the emotion. An accountant will help you structure your portfolio to minimise your tax exposure and lessen your risk. Your accountant can help you to compartmentalise your companies to make it easy to sell or close them individually in the future. For example, if one of your portfolio companies underperforms due to a change in consumer behaviour or the economy, you should be able to close it down without adversely affecting other companies within your portfolio. Your accountant will also help you to structure your affairs to plan for inheritance tax and allow your descendants to benefit from your hard work. If you follow the Dealmaker's Academy methodology of buying businesses without risking your capital, it’s still likely you will need to raise finance. This means you need to have access to all of the financing possibilities. An experienced finance broker will be able to guide and help you to find the best source of funding for your particular situation. Whether you buy the shares of a business or the assets of a company, you will encounter TUPE (or Transfer of Undertakings (Protection of Employment) Regulations). It involves the transfer of the staff to you. Part of your restructuring after an acquisition, whether you merge it into your company or keep it as a standalone business, might be to reduce the staff headcount. Attempting to do this yourself without proper guidance is likely to end in disaster. An HR Consultant will help you to manage these potentially difficult situations. Putting together a Deal Team that can support your acquisition strategy can take years of trial and error. As you know, trial and error in business usually involve a great deal of time and expense. A huge benefit of joining the Dealmaker's Academy Mergers and Acquisitions Mastermind Programme is that you don’t have to find your own Deal Team—we’ve done it for you. You will get access to Jonathan’s Deal Team, comprised of some of the UK’s most experienced merger and acquisitions’ experts. At the live training days, you can take advantage of their advice and guidance. You can tap into their knowledge and get immediate help which will help you to accelerate your progress. That’s all part of your Mastermind Programme membership. If you want more in-depth help with a deal, then you can negotiate fees with any of these professionals at preferential rates. Many Mastermind delegates have said that access to the DMA Deal Team is worth more than the fee for the annual programme. They’ve realised that trying to go it alone or assembling their own team is the hardest, most expensive way of building a dealmaker business. As a member of the DMA’s Mergers and Acquisitions Mastermind Programme, you will be shown how to buy three types of company. The first is a company that's profitable. You, as the dealmaker, see an opportunity to make it more profitable. Perhaps you understand how operational improvements can be made, costs can be saved, or infrastructure can be reduced by combining it with your existing business. Structuring an offer for a profitable business is one of the strategies that you are taught on the Dealmaker's Academy Mastermind Programme. The second type of business that you might acquire is one which is stressed. That’s one where the business owner and the business are underperforming, and as a result, the numbers don’t look good. There is a downward decline in the business and therefore an ongoing reduction in value. By acquiring a business that is stressed you can get the business at the best possible price and reverse its fortunes by either combining it with your existing company or making some operational changes. The third type of business is one which is distressed. A distressed business is either insolvent or on the verge of insolvency, and this is a business that you would typically buy for a nominal amount (usually as low as £1). For the purchase price, you take on its liabilities. Many business people fear the word 'liabilities' because it’s the last thing they want in their own business. However, if you understand how to manage liabilities and you have the right deal team around you, then things that the seller considers liabilities are, in fact, considered opportunities by you. Managing those liabilities and effectively extinguishing them by restructuring the company can allow you to acquire businesses that you might have once considered out of your reach. The Dealmaker's Academy will teach you how to acquire these three classes of business. Your acquisition strategy may well include all three different classes of business since each one represents different opportunities. You never invest your own money in a deal. Many people think their ability to buy a business is dependent on their personal or current business circumstances. In other words, they think the amount of money they have in the bank determines whether an acquisition can be made. Others think that borrowing money from a bank is the only available way to finance an acquisition. Nothing can be further from the truth. When you learn the DMA acquisition method, you will realise you can buy companies far larger than the company you currently own in deals that do not involve investing or risking your own capital. You will be taught how to raise finance against the assets of the business that you are buying before you have bought it. You’ll also discover how to structure deals in ways that remove risk from the transaction. It means you will never overpay for a business you purchase. If the business turns out to be less productive or profitable than forecast, the deal structure we have taught you will allow you to amend and update any payments to the seller. That again will reduce your exposure and risk. You do not manage the business on a day-to-day basis. The entrepreneurial business owner quite typically starts a business as a sole operator, responsible for every activity in the business. As the business grows, the owner becomes what we call a ‘business operator’. That is, someone in a quasi-management position who turns up to the office every day and gets involved at a level of detail in which he or she should not be involved. During the Mergers and Acquisitions Mastermind Programme, you will discover that a business investor or dealmaker has a completely different mindset to that of a business operator. As a dealmaker, you will learn to think of a business as an asset that is designed to produce income for you and your family, and which also appreciates so that at some point you can sell it for what we call the business equivalent of winning the lottery. That’s not to say you won’t take an interest in your investment. You will. You will want to be involved in understanding what's happening with your investment. The difference is that the day-to-day management will be taken care of by the business's existing management team or an external management team that you bring in to run it on your behalf. For most people, running one business is a big enough headache which is why they can't imagine owning three, four, five or six businesses. When you change your mindset to that of a dealmaker, you realise that running a business produces the lowest possible return on your time investment. You see that looking for deals and establishing strategic acquisitions to grow your portfolio provides the highest return on your time investment. So, the second rule of business acquisition is the growth of your business portfolio will not be restricted by the amount of time or energy you have. The Dealmaker's Academy has what is called a ‘Rule of Six’. It states that over an 18-month to two-year period, you will build a portfolio of six cash-producing businesses. Remember, these will be businesses that have been bought without the use of any of your capital. Every year as the business values across your portfolio rise, you will sell one business. That will create what is called a ‘liquidity event’. In other words, hundreds of thousands or millions of pounds are paid to you for that company. The same year, you will buy another company to replace the space in your portfolio. So the Rule of Six is, you develop a portfolio of six companies and every year you sell one and every year you buy one. You maintain your portfolio, but also have a cash injection every 12 months. It’s a far cry from the experience of most business owners. They turn up every day to operate the business and get increasingly frustrated and exhausted. They hope that they will one day be able to sell the business to secure a comfortable retirement. That is a huge gamble, and it means all their eggs are in one business basket! It puts their future and their families’ future at huge risk. After all, they might not find a buyer for their business. Or, as so often happens, the demand for whatever their business offers might disappear. What happens if their one business fails to interest a buyer? What kind of retirement will they have then? What legacy will they leave behind? The solution is to diversify your investment strategy to include several businesses and to run them in the way that we teach you. It eliminates risk and creates a profitable upside that someone who runs their own business can only dream about. Each business in your portfolio will pay you a management consultancy fee for the monthly board meeting that you run. Even though the businesses you own will be managed, you should hold a monthly meeting with your management team to discuss strategy and to set milestones for achieving that strategy. You should be paid for attending and chairing this meeting. It's called a management fee which is made by your company to the portfolio company. It is your way of extracting cash from each business in your portfolio on a monthly basis. The second part of this rule is that you will have a so-called ‘liquidity event’ every 12 months by selling one business in your portfolio. Now, that business might be worth a lot of money, or it might be worth a modest amount of money. Either way, it creates a liquidity event and allows you to take advantage of the lowest rate of taxation in the UK. Everyone in the UK is entitled to £10 million of entrepreneur's relief which means that the first £10 million of share sales (there are certain criteria) are subject to a nominal 10% tax charge. Again, most business owners take advantage of this once in their lifetime and never use the full £10 million tax advantage, but you, as a dealmaker, will be able to minimise your taxes while maximising your income. It is essential that in the early days of your deal making journey you create a strategy that fulfils both your business and personal goals. The Dealmaker’s Academy will help you to identify what you want to achieve and then help you to create the best strategy to get it. Your strategy might be a purely financial one or one aimed at achieving a better work/life balance. It might be a strategy aimed at developing business assets that are part of your family wealth. You might want to accelerate the growth of your existing business by acquiring other businesses or to buy similar businesses from your competitors or to buy businesses with products or services that complement your current business. You might want to focus on expanding the presence of your business in other parts of the UK or overseas. We will work with you to determine what’s most important to you and then design a strategy to help you achieve it. Putting together a strategy at the start of your journey is extremely helpful. A strategy gives you clarity and a sense of purpose. It means you won’t waste time chasing deals that won’t benefit you. Part of our role at The Dealmaker’s Academy is to give you that clarity, direction, and purpose. This will make your deal-making journey as time effective, and as profitable as you want it to be. Remember that just one deal can transform your existing business. More importantly, it can make a life-changing difference to you and your loved ones. If you have ambitions that go beyond doing just one deal, then you’ll benefit from using the Academy’s Rule of Six. That’s where you develop an asset-base of six businesses, which each produce cash for you on a monthly basis. Under the Rule of Six, every year you sell one of the six businesses in your portfolio as part of a liquidity event. You then buy a new business to replace the one you’ve sold. In this module, you will discover how to compile a list of businesses that meet your acquisition strategy. We will show you how to create a database of business that fulfils your acquisition strategy, and which are worth targeting. We will then show you how to approach those businesses in a way that does not cause offence or suspicion (in the case of your competitors) but which will help you to achieve the best possible outcome. You do not have to have any knowledge of marketing to do this. The methods and strategies are deceptively simple as you’ll discover. For example, the other members of your Mastermind Group will be one source of deals for you. Here’s why: when you start developing a reputation for buying businesses, people will approach you. It’s likely that many of them won’t fit your buying criteria. What do you do with those enquiries? You pass them to the other dealmakers in your group. Let’s say, everyone in your Mastermind Group knows that you have an interest in printing companies, then you will have 49 people keeping their eyes open for printing companies. When they come across one, you will be the first person they think of. Sourcing deals by yourself is a lot harder than doing it as part of a group. 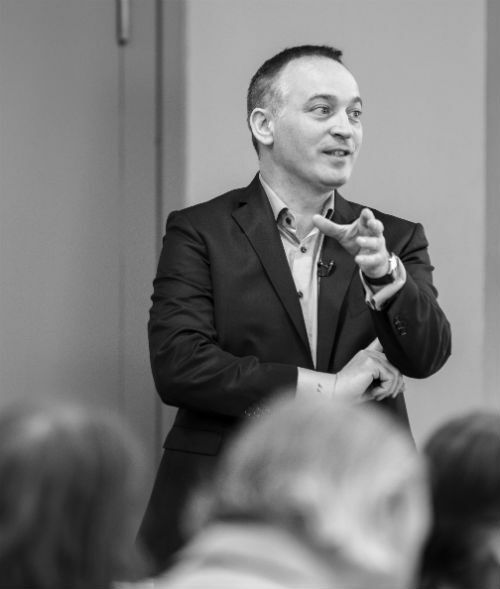 Being part of the Mastermind Programme not only gives you the tools, techniques and strategies, it also gives you the motivation to keep focussed and to achieve the outcome that you want. We will also teach you some advanced, deal-sourcing strategies, the same ones that are producing incredible returns for some of our existing Mastermind Programme members. One of those is to send out what we call ‘seller letters’. These letters are remarkably effective at getting business owners to pick up the phone and call to say they have an interest in selling their business. As part of the Mastermind Programme, you are given a template of this letter (which has been carefully crafted over many, many years) so that you can start using it immediately. You're also given all the contacts that you need to use seller letters in a way that is scalable. You might want to send hundreds of letters at a time, and the contacts we give you will do this on your behalf. It means you will be able to scale your deal-making activities without having to do the additional work yourself. Everything we do at The Dealmaker’s Academy is designed to maximise your upside and reduce your downside. Using the Academy’s Deal Team is one way to achieve this. Another way is to ensure that you only have conversations with people who are seriously interested in selling their business. It begins with a telephone call from someone responding to your deal-sourcing activities. This telephone call can take place at any time: during office hours or evenings and weekends. During this call, you will ascertain whether this is a business that fulfils your deal criteria and whether it is a business owner who is motivated to do a deal with you in the type of structure we teach at The Dealmaker's Academy. You will be given a bullet-point checklist, a script, if you like, of 14 questions you must ask during this first call. These 14 critical questions are your framework for determining whether this is the type of business that you could, and should, buy. This allows you to determine quickly if the business in question is worth pursuing. Within two to three minutes, you will know whether this is someone who is worthy of a long phone conversation. If you decide the business sounds promising, the conversation you have with the owner may last 30 or 40 minutes. By the end of the phone conversation, you'll know about the business, about the seller, and about the type of deal structure that will work for both you and the seller. The wonderful thing about using this telephone approach for the first contact is that it saves you an enormous amount of time. You won’t waste hours travelling across the country and attending meetings with business owners who aren’t ready to sell or who aren’t ready to do the kind of deal we recommend. After you’ve had that first telephone conversation, you will set up a face-to-face meeting with the business owner. You can meet at the business owner’s office, your office, or somewhere neutral. If you choose a neutral place, we recommend you choose somewhere close to the business headquarters so if the meeting goes well, you can do a site visit immediately afterwards. This meeting has an agenda, and as part of your Dealmaker's Academy membership, you will be supplied with that agenda. It is designed to give the meeting structure and allow you to ask all the right questions, in the right order, without missing out on any vital information. It's very important as a dealmaker that you have a variety of deal structures that you can use to craft an offer that is acceptable to your seller and which makes sense to you. There is a saying that if the only tool you have is a hammer, everything looks like a nail. Likewise, if as a dealmaker the only way you know of doing a deal is borrowing money or using your savings and giving that to the seller, it's the only kind of deal you'll think to do. Here’s the thing: that is the very worst type of deal you could do. As part of the Mastermind Programme, we will equip you with dozens of different deal strategies so that you can structure deals in such a way that everyone wins. Everyone will be happy with the outcome. At the same time, these deal structures will de-risk your position so that you will never overpay for a business. If it turns out that the business isn't what it appeared or that you have been misled in some way, then there will be recourse. The deal structures we give you will help to ensure that you do not pay any more than you need to do. Having an armoury of deal structures allows you to be the most creative dealmaker. That is important because when it comes to buying businesses, creativity is key. An essential part of the Mastermind Programme is equipping you with these tools so that you always have a deal structure to fall back on and a way of getting a deal done. One of the key considerations you’ll face as a dealmaker is whether to buy the assets or the shares in a business. As part of the Mastermind Programme, we teach you not only the difference between the assets and shares but the pros and cons of buying shares and assets. When you understand the key differences, you will be able to make an informed decision that allows you to de-risk your position and to achieve the outcome that you want. The amateur dealmaker looks at their bank account to decide whether to proceed with a deal. But financing the acquisition of a business with your own capital is a huge mistake. A professional dealmaker uses an array of clever financing options to buy a business and raises money from third parties. None of those options involves using personal guarantees or their own money. It’s why every dealmaker needs a finance broker on their Deal Team. He or she will have whole-of-market access to the different options available. Buying a business that has substantial assets is very easy to finance and very attractive to a finance company. Quite often these assets are undervalued by the seller, but by realising their true value, not only can you finance the assets, you can create sufficient working capital to allow you to take the business to the next level. As part of the Mastermind Programme, you will have access to Jonathan Jay's finance broker, who will help you finance deals where money is required to make the acquisition. It’s an opportunity to learn from the best! There are three types of due diligence: legal due diligence that's undertaken by your lawyer; financial due diligence which is undertaken by your accountant; and commercial due diligence which is probably undertaken by you. Alternatively, you can hire a company to do this on your behalf. 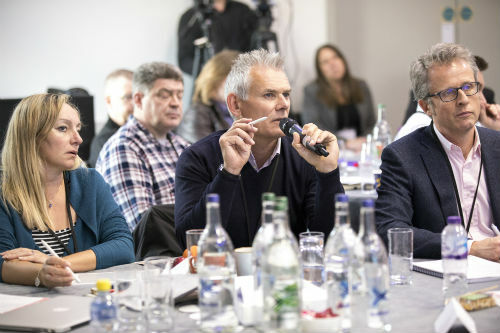 As part of the Mastermind Programme, you will be introduced to Jonathan Jay's due diligence expert, who assesses deal opportunities for Jonathan to determine whether the deal should be done or not, where the hidden gems are in the business and what the business could be worth once it has been 'fixed'. Due diligence allows you to ensure that you are buying what you think you are buying. It is also an opportunity for any value adjustment to ensure you pay a fair price for the business. Eager buyers who are desperate to seal the deal often overlook one or even all three aspects of due diligence. That is a huge mistake. Due diligence is an essential part of the deal process that can save you from buying the wrong company or paying more than you should for a business. During the Mastermind Programme, you will be taught everything you need to know about due diligence. Closing the deal is as much about psychology as it is about the mechanics of bringing a deal together and reaching the finish line. Your relationship with a seller will play a critical role in your dealmaking success. That is why the people skills that the Mastermind Programme teaches you are so essential. You will learn how to close a deal in such a way that the seller isn’t struck by ‘seller’s remorse’ even before the ink has dried on the contract. You will discover how to ensure you conclude deals that both you and the seller are happy with. Closing the deal is a delicate process. During the Mastermind Programme, we will show you how to metaphorically put your arm around the shoulder of the seller and lead them over the finish line. Before you buy a business, you need to have a 100-day plan which will be a roadmap for the first three months of your new ownership. It must cover what immediate changes need to be made to improve the profitability of the business so that you can extract cash from the company as soon as possible. The plan doesn’t have to be implemented by you. It can be used by the management team or manager that you have put into the business. A large component of the 100-day plan is getting people onside, whether they are your new team members or in the case of a distressed business, the creditors of the business. Having a 100-day plan provides you or your management team with a blueprint for action. Your colleagues in the Mastermind Programme will help you formulate a winning 100-day plan. It's always easier to improve someone else's work than to build something from scratch. Most business buyers think that fixing the business is about achieving a higher level of sales. Now, that may well be the case in the medium-to-long term, but in the short term, it's about applying common sense to the business and removing all the unnecessary costs. Many of the Mastermind Programme dealmakers find that removing the costs is all they have to do to release the profit in the business. That profit had previously been gobbled up by costs that were not essential to the functioning of the business. This often happens when the business is owned by a large corporate or a private equity house. Removing costs is often about using common sense. But you also need to have the right team of advisers to guide you. For example, if you need to reduce the number of staff, you must have the correct HR advice. On your Deal Team, there must be an HR professional who understands what you want to achieve and what is legally possible. As part of the Mastermind Programme, you will have access to Jonathan Jay's Deal Team, which includes an HR professional who is extremely experienced at managing difficult situations with staff so that you don't have to. There are several ways to build your business portfolio; the most obvious one is to buy businesses in your sector. It means you don't have to go through a steep learning curve with each acquisition. It also means you get better and faster with each acquisition because you know what works in your sector. The second way to look for synergy in a portfolio is to focus on complementary sectors. When you put the businesses together like a supply chain, they start to make sense. Some dealmakers look for customer overlap, for example. They focus on a certain type of customer then look for businesses that service that type of customer. Saga, for instance, specialises in services and products for the over 50s. There is a customer overlap between all the businesses that they acquire. Another synergy might be to focus on geography. You might look for businesses within striking distance of where you live. Another might be the businesses’ selling mechanism. For example, all the businesses that you buy might be online businesses that sell products or services via websites. They could all be maintained and marketed from one desk and one location on your behalf. Another synergy might be combining operations and facilities. If two businesses require an office, factory or manufacturing space, you could combine those facility requirements into your existing office or manufacturing space and therefore reduce the cost base across the two businesses considerably. During the Mastermind Programme, we help you establish the ability to build a synergistic portfolio of cash-producing business assets to help you achieve financial freedom. Most people wait their entire lives for the sale of their business and then are disappointed when the business doesn't achieve the value they hoped it would. No wonder because more often than not that value is practically zero. By approaching, buying and selling businesses using the methodology of the Dealmaker’s Academy, you can enjoy that big payday not once in your life but every single year by selling one of the companies from your portfolio. Whereas most people wait a lifetime for one big payday, you can enjoy a big payday on an annual basis. The very best time to sell is when you do not need to do so. By following the Rule of Six, you will be in that position because you will have multiple businesses, each producing cash for you on a monthly basis. The worst time to sell is when you’re desperate. That’s the position most business sellers find themselves in, where they are reaching retirement age, suffering from ill health or have some other personal reason for needing to get out of the business. Their desperation puts them in a weak negotiating position, and so they’re likely to achieve far less than they hoped. If you use what you learn from the Mastermind Programme, you will never be in that position. You will know how to sell your business profitably and without the need for a business broker. After 20 years of being a business owner, Jonathan Jay realised that the most enjoyable times in his professional career were when he was either buying or selling businesses. The worst were those times when he was a ‘business operator’ embroiled in the day to day running of the businesses he owned. He vowed then to focus solely on dealmaking. 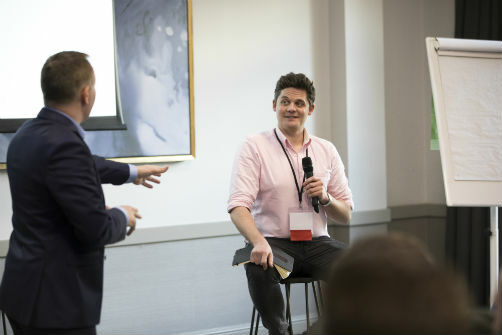 As more and more people asked him for help and advice on dealmaking, Jonathan realised so many business owners who were missing out on the opportunity to get the lifestyle and income they dreamed about because they didn’t know how to grow their business through acquisition or sell their business at a profit. He saw too how many people put together bad deals which ended up placing everything they owned at risk—their businesses, their personal savings, and even their homes. Unlike him, they didn’t have access to M&A experts and were trying to do it on their own. It was then that the Dealmaker’s Academy began to take shape. The very first Mastermind Group in 2016 was a group of dealmakers who had already done deals. Even so, within a few months, it became apparent that everyone in the group was more motivated simply because they were working as a team. Before making decisions about deals, they consulted with the other members of their Mastermind Group. That meant their decisions became smarter. As a result, they were doing better deals more frequently and more profitably. From that moment onwards, Jonathan pledged to train at least 100 business owners a year on how to buy and sell businesses effectively. The Dealmaker's Academy approach is about providing a supportive environment and the best expertise for smart business acquisition to allow you to achieve the outcome that you want. Whatever your personal goals might be—financial freedom, owning a portfolio of cash-producing businesses regardless of whether you turn up to the office every day, or establishing a financial legacy—the Dealmaker's Academy is here to support you as you buy and sell businesses and become a true dealmaker.